When we start to serialize the telling of stories it’s difficult. You have to have a lot of control and focus on the course of history. The films are controlled by a group led by Kevin Feige, so they function as a unit. Other products, even if they are from Marvel, are controlled by others. It's two branches of the same tree, but they make different people money, so there isn't a whole lot of incentive to overlap them. Unless you're a fan, and then there's a huge incentive! Please overlap these two! It would be amazing and we all deserve it and we're worth it. I'm fully aware that, as Russo points out, Fox and Sony each own rights to "some of Marvel's most popular characters", but just for today, I want everyone to get along and stop worrying about money and start worrying about magic, because here are nine excellent reasons to make a Jessica Jones-Avengers crossover happen. WE NEED MORE FEMALE SUPERHEROES. Enough said. Instead of clunking the Netflix series up with terms like "the big green guy" and the "the flag-waver." As it stands now, the Avengers are either superheroes with unimaginable powers like Thor, the Hulk, and Captain America, and humans with military training like Black Widow and Hawkeye. Jessica falls somewhere in the middle, with super strength, and her ability to kind of fly (jump with style and grace? ), so we need her in the mix to spice things up, ability-wise, at the very least. Unlike some of the other superheroes around here, who will go off at the slightest provocation, Jessica doesn't use her powers unless absolutely necessary. Good! Another cool head in the bunch can only be a good thing. 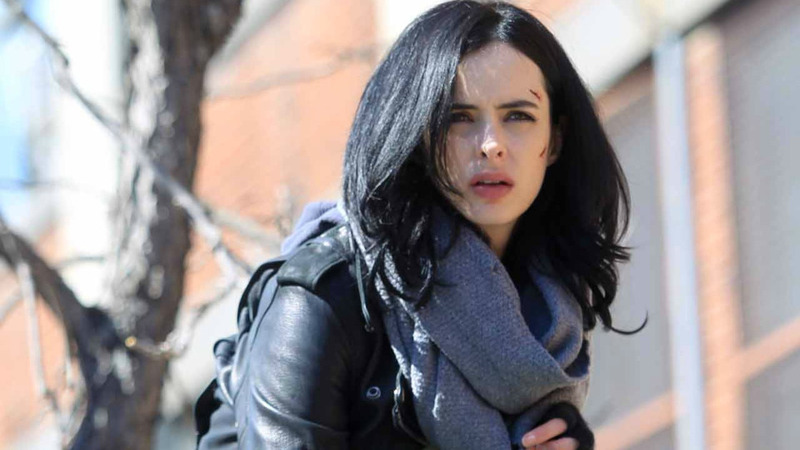 Jessica Jones takes no bullsh*t, which would be a fun thing for Tony Stark to come up against. I would also pay an absurd amount of money to watch her drink them under the table. The fact that she's a private investigator basically makes her a double major, in the superhero world. Sure, Bruce Banner is a scientist, and Tony Stark has money, but a bunch of the rest of them would just be regular guys if they ever lost their powers. Not so Jessica! The fact that Luke Cage and Jessica Jones are a package deal is like a buy-one-get-one-free situation, because they're both such awesome characters. And in Luke's case, he really has to be amazing to break into the tiny, solid friend circle that is Jessica and Trish. But, y'know, superhuman strength and durability can't hurt, either. She isn't perfect, and she makes mistakes sometimes, but it's great to see as a viewer who, y'know, does the same things... minus superpowers. But seriously, what do you have in common with Iron Man, off the top of your head? I'd wait, but I don't want you scrunching your forehead for the rest of eternity. I don't want to get all Taylor Swift on you here, but #squadgoals. Jones doesn't roll quite as deep as Taylor, but Trish is all the squad any girl could need (plus if she follows the comics, she's going to be a hero someday too). And what did I say at the beginning of this post? We need. more. female. superheroes. And that's that! I don't want to hear another word about it. I know we all like making money and staying in our lane, but this is important, so I'm really hoping the big pooh-bahs can work it out and make this crossover happen.